Please refer to our stock # 1168pr when inquiring. 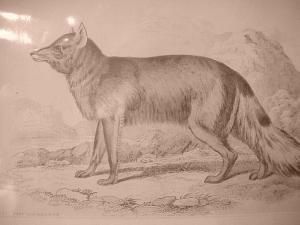 Print, signed by Coll H. Smith del and Lazars SC, "Magellanic Aguara Fox", 6" X 3" sight size, matted 9" X 12", hand-colored. $75.